Regime Superman is about to be revealed, but Raven's timely divine, er, magical intervention saves the day for the Regime. 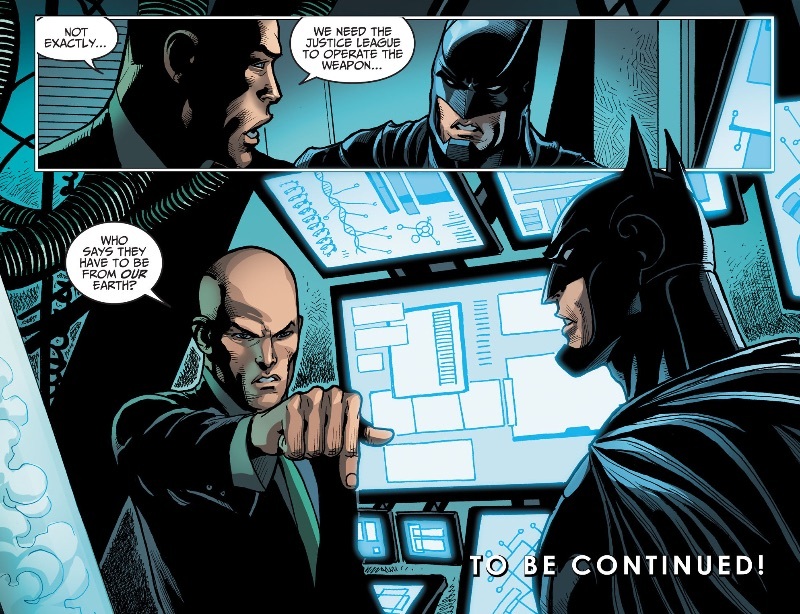 Batman, however, turns to Lex Luthor, who in turn, turns to an alternate theory. Story - 3: Raven's return sparked laughter on my part. She and situations like her have been defined by a single word from the thwarted individual; "Kryptonite," "Lead-based," "Magic". Buccellato is so horrible at these set-ups, which involve forgone conclusions, that he no longer tries, if he ever did. The buying public deserves a little more than a square of roll, when caught short on this poorly structured mess. Readers know that Regime Superman will survive this latest threat to his reign, but deserve a better, richer experience for having stayed with this wreck for so long. Better that than a wave of the hand, and a drop of the current to signify how much Buccellato could care less about delivering a solid story. 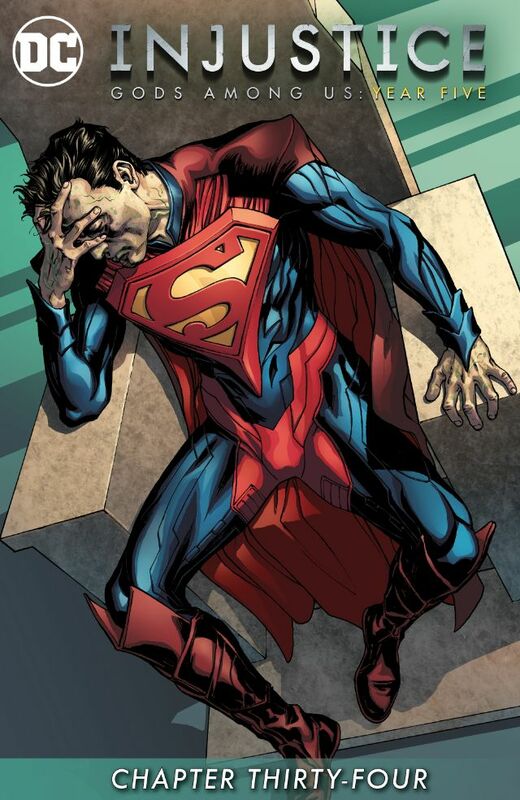 Regime Superman is told that the Kryptonite poisoning that he has contracted will fade. What was the point of him contracting it in the first place, other than nothing at all? 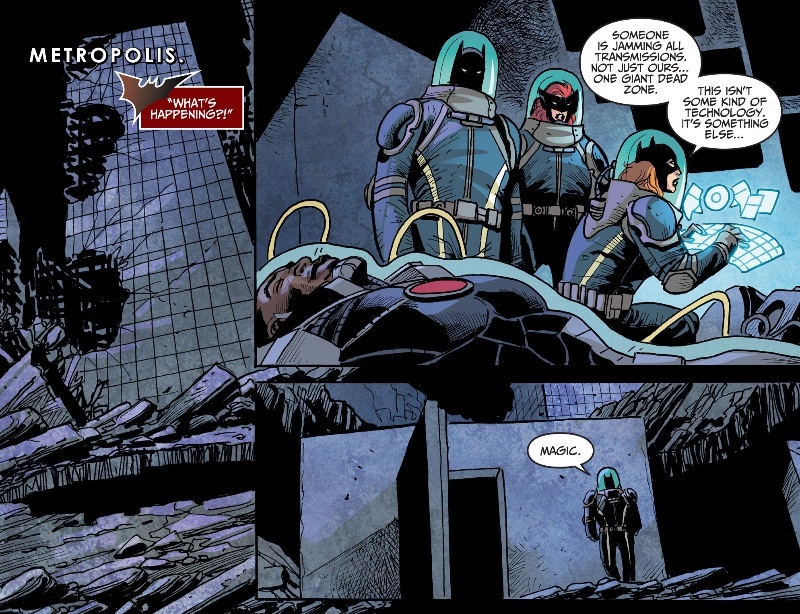 Regime didn't need to be sidelined, as he couldn't have found the Insurgency; it's been said time and again that lead this and lead that are keeping him from getting the job done, and Raven, conveniently, hasn't been around to magic a way around that. Since Kryptonite doesn't work in this fashion, this just further cements Buccellato's ineptitude with telling a solid story. It's such a waste of any reader's time. Art - 3: Et Tu Derenick? 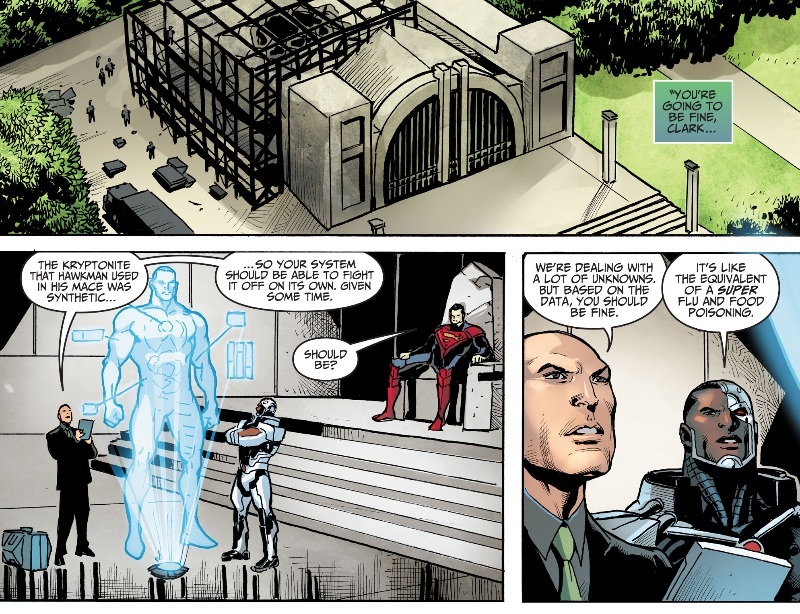 Why is Luthor pointing downward? Has Buccellato's work affected everyone on this book? Where is the end?